Carey Mulligan. Nathaniel Martello-white. John Simm. Billie Piper. Jeany Spark. Fatima Asif . Police. Thriller. Politics. Recommended. Drama. 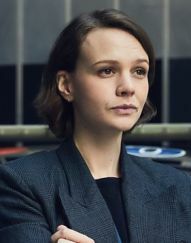 'Collateral', a new BBC drama, has been written by distinguisged playwright David Hare. Writing for the theatre, an author has to make great use of dialogue; they lack access to the inner monologue that a writer of fiction can call upon, or the camera and its access to varied surroundings of someone writing for TV or cinema. Hare has his own trademark style of dialogue; and he retains it even when television is his medium. So one thing one doesn't get is naturalistic dialogue. Instead, his characters talk in short, confident sentences, that are non-expository; or at least, the words tell us something about the overall moof of the moment, but can feel almost deliberately obfuscatory in terms of plot. But when it comes to plot, Hare gets one thing right that many authors of detective stories do not: a situation that intially appears bizarrely byzantine to its investigators is in fact less complex than it seemed; the complexity a by-product of what they don't know. There's a relatively simple story at the heart of the mystery, unlike so many stories, where an endless sequence of preposterous developments are required to make sense of it all. So the writing is good. The underlying theme is thought-provoking too; the responsibility of those of us who live in the relatively comfortable world to those who do not. Hare clearly has strong opinions on this question; but his treatment, though partisan, is fair, and underpins rather than smothering the story. 'Collateral' is unquestionbly highbrow, and won't be for everyone; but I enjoyed its fresh approach one of our most common TV genres.